Spontaneous people, craft beers and hundreds of doses of positivism. Portland is the sort of city that when you first visit it, after a while you wish you could live there. The largest city of the state in Oregon attracts travellers looking for crazy freedom, street food and true vintage. One last thing: It rains, but as locals say "rain here is a bonus". 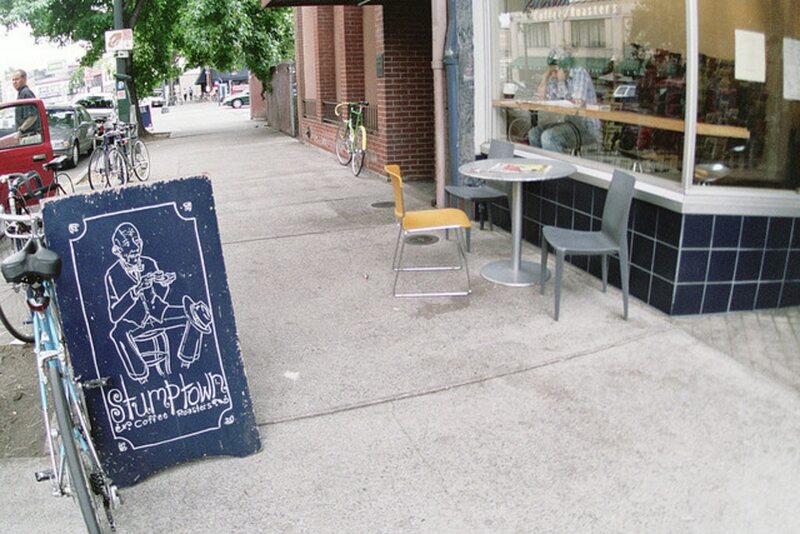 Welcome to sweet Portland! 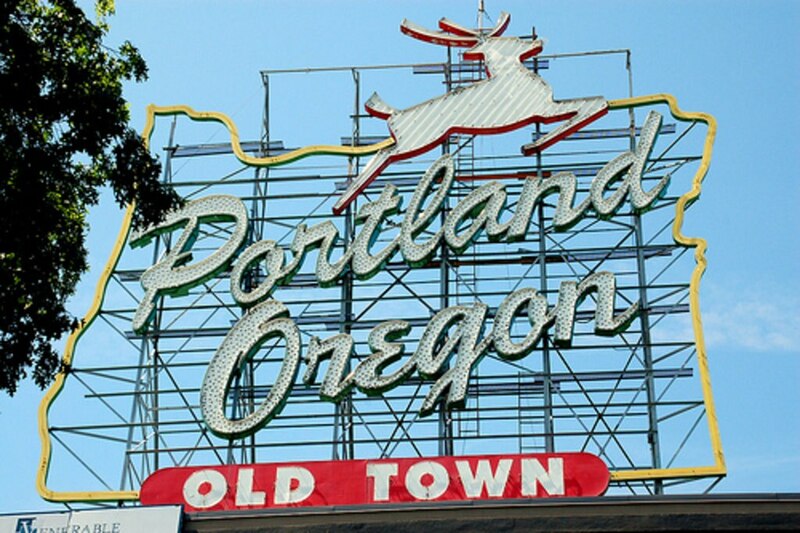 There are over 30 breweries in Portland, that's why the city is also known as "Beervana" or "Munich on the Willamatte". Since the early 1980s, Portland brewers have been pioneering the craft beer movement (It's estimated that 53% percent of all draft beer consumed in Oregon is brewed) It is thought that the rain is the reason why this town can produce so much quantity of beer. Whether it's sunny or it rains, Portland celebrates beer festivals over the year- Some of them take place at the town centre and some others at Oregon Convention Centre. If you fancy tasting all kind of local beers visit LaurelThirst (Street 2958 NE Glisan St). Everyone rides a bike in Portland, even the strippers that can be seen at the very popular route, Nake Bike Ride. Here bikes go first and this is something that drivers know very well- there are lots of streets with wide bike lanes across the country. If you want to immerse yourself in the spirit of the pedal power movement, rent a bike at Portland Bicycle Tours (117 NW 2nd Ave). There is something around this place that inspires and attracts creativity. For instance, The Fight Club's author, Chuck Palahniuk, as well as artist Mark Rothko are from Portland and the city was also chosen as the setting for the film One Flew Over the Cuckoo's Nest and for a good number of films by Gus Van Sant. This city is home to the Portland Farmers Market, an outdoor farmers' market which hosts eight markets based throughout the city metro area. This collection includes up to two hundred vendors selling all kinds of local products. The aim of the initiative is to connect the urban population to the farmers' production. Did you know that The Simpsons was inspired by this amazing city? Its producer and screenwriter, Matt Groening, is original from here and he got inspired by his home town and created one of the funniest and satirist TV series about American society. But this is not the only successful TV series with a taste of Portland; As it name indicates Portlandia is a real satire of the City of Roses as the place 'where young people go to retire". There are lots of options: hot dogs, Mexican tacos, Oriental delicatessen and much more...Any van in Portland has turned at least once into a food truck. Remember that in this land, chefs are hidden behind a food cart. 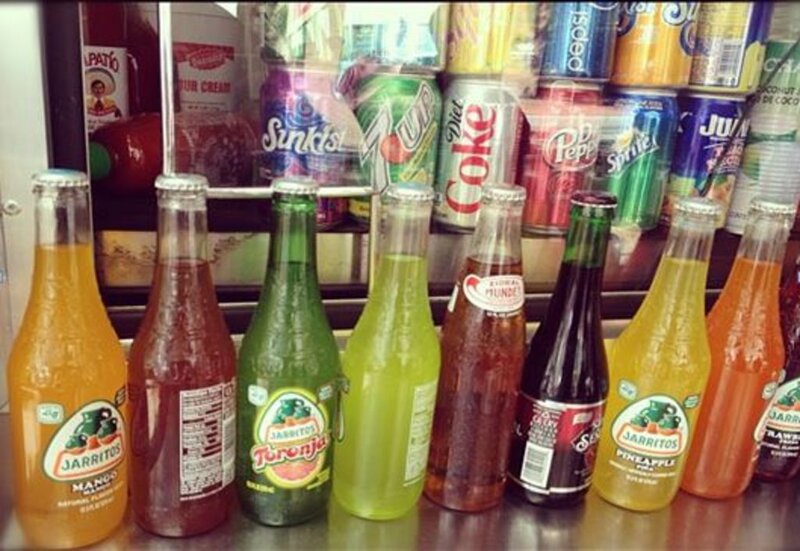 Don't miss the delicious Mexican fare at La Jarochita (SW 5th Ave, Portland, OR 97204). 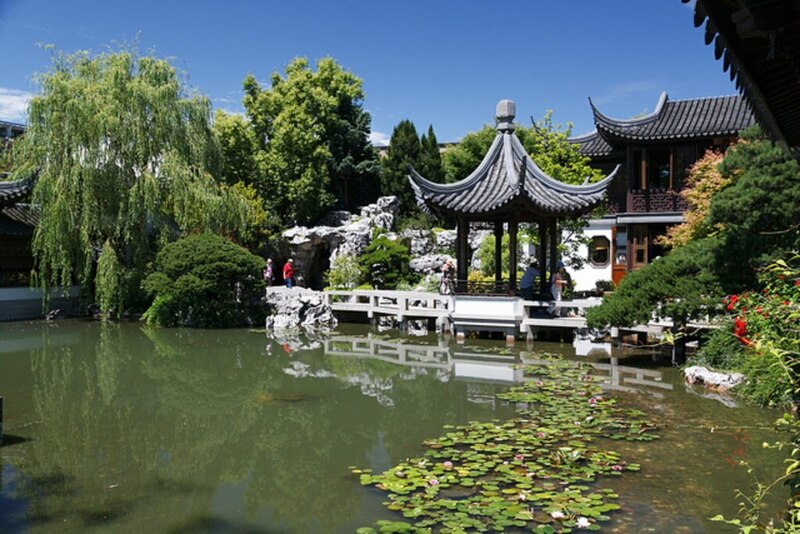 Portland is twin-city of Suzhou, close to Shanghai, and if you want to confirm this, you only need to visit the Lan Su Chinese Garden, based in the centre of the city. Every Tuesday during the summer, the city celebrates this connection to the Oriental world. It's a fact. Everything in Portland has the eco label. It has a privileged position on lists of the greenest places to live. The City of Roses is the first one in the U.S to implement a comprehensive plan to reduce CO2 emissions and it also has a very effective system of light rail, buses and bike lanes to turn the pollution down. Have you ever been to Portland? Tell us about your experience! Built in 1913, this hotel is 4 blocks from Pioneer Square, MAX light rail trains, downtown shopping, and Pearl District shops, galleries, and restaurants. The Portland Center for the Performing Arts is nearby. Guests on the go appreciate the hotel's complimentary, 24-hour airport shuttle and a convenient location about 5 miles from Lloyd Center shopping and 8 miles from downtown Portland. Located on a small lake, this hotel is within two miles of Portland International Airport and within eight miles of Lloyd Center, the Rose Garden arena, and the convention center. The Ramada Portland Airport is a half-mile from the Colwood National Golf Club and 1.5 miles from Portland International Airport. In the center of Portland's downtown business and shopping district, this high-rise hotel is 1 block from the Schnitzer Concert Hall, Pioneer Courthouse Square, and a light-rail station. Whether you're traveling for business or pleasure, the Courtyard by Marriott? City Center hotel near downtown Portland, Oregon's Pearl District provides you with everything you'll need. From spacious guest rooms to a full-service business center and on-site restaurant with classic American cuisine, this Pearl District, Portland hotel's amenities and services offer the perfect "Rose City" experience in the downtown Portland. In addition, our Pearl District hotel in City Center is ideal for business travelers attending conventions, conferences, seminars or board meetings with great group rates and stylish "green" meeting spaces, featuring seven meeting rooms and more than 5,300 square feet of meeting space. And with the assistance of this Portland hotel's Pearl District meetings professionals, you can count on us to help you plan a flawless business meeting or social event. Find everything you'll need under one roof in the trendy Pearl District at Courtyard's City Center hotel in downtown Portland. Situated near the airport, this hotel is 2.3 mi (3.7 km) from Grotto and within 6 mi (10 km) of Portland Meadows Racetrack and Concordia University. Rocky Butte and Grant Park are also within 6 mi (10 km). Located in Portland's Nob Hill district, this extended-stay hotel is within walking distance of downtown. JELD-WEN Field, home of the Portland Timbers soccer team, is also nearby. It’s less than a 10-minute walk from DoubleTree by Hilton Hotel Portland to the Oregon Convention Center. Lloyd Center Light Rail Station is steps away, with Lloyd Shopping Center right across the street. It's an 8-minute drive to Portland Art Museum. Mt Hood provides a scenic backdrop for this waterfront Marriott, set across from Tom McCall Park and a riverfront promenade; Keller Auditorium is 4 blocks away; Pioneer Place is 8 blocks away. Kimpton Hotel Monaco Portland is within 6 blocks of shopping centers, theaters, museums, and the Westside Riverwalk. Book a stay in any room or rate category and receive a coupon at check-in valid for 10% off meal purchases at either Café 10-21 or Windows Lounge across from the hotel. Coupon is valid per room, per stay. Offer is valid anytime, subject to availability. Coupon is for dine-in only and is not valid for room service or deliveries. Offer may not include taxes or gratuities. Other restrictions may apply. This luxury full-service boutique hotel in downtown Portland Eastside with panoramic views of the city is across the street from the Oregon Convention Center and walking distance to the Moda Center. Portland's light rail system is adjacent to the hotel with easy access to the airport and metro area. This casual, intimate hotel overlooks Director Park and is located in the heart of downtown Portland near concert halls, art museums, Pioneer Square shopping, restaurants, and MAX Light rail and trolley. Set across from the Willamette River and Tom McCall Waterfront Park, and river walk, this 5-story hotel is 4 blocks from downtown's Pioneer Place. Situated near the airport, this hotel is within 3 mi (5 km) of Grotto, Rocky Butte, and Grant Park. Providence Portland Medical Center is 3 mi (4.8 km) away. Uncover the most delicious food and beverages in Portland, a city known for its quirky food trucks, international cuisine, and hand-crafted beer and wine.